And just like that, we’re 1/4 of the way through the year! 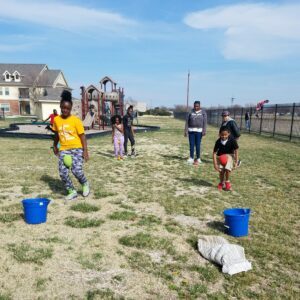 We’ve been growing and learning and having too much fun on our properties. 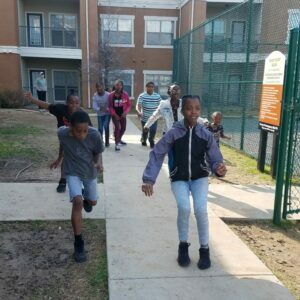 The kids are definitely ready for nothing but sunny skies and warm weather – at this time of the year, they’re definitely tired of being stuck inside most of the day and are itching to get out and run wild. We let them every chance we get. 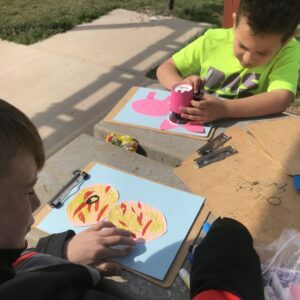 Check out photos of our fun below. Springtime means flowers start to bloom. 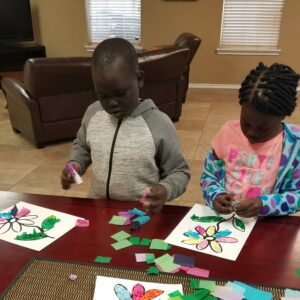 The kids at Cathy’s Pointe had fun being creative making their own flowers. We played an oldie but goodie at Cypress Creek – “Red Light, Green Light.” The kids loved it, unless they got sent back to the start! We made pig crafts to go along with the story of the Prodigal son. These guys at Spring Terrace got extra creative with their pigs, making a zombie pig (bottom) and a ninja pig (top). 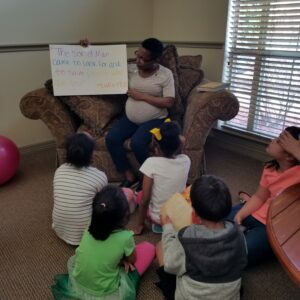 Lia says it doesn’t happen often, so when she can get her entire squiggly little crew at Plum Creek to all sit still and listen, she makes sure it gets documented with a photo. 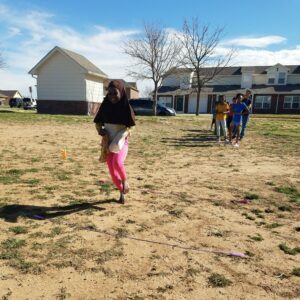 We play some crazy games at Mission 2540. The Glenwood crew came up with this relay race. We don’t know what to call it, but it sure is fun! We’ve been at the North Grand Villas for nearly 15 years. And for all of those years, “Jump The River ” has always been the kids’ favorite game. They’re extra excited for warmer weather. 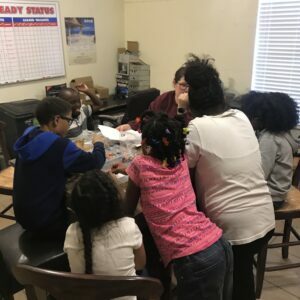 Our group at Ridgecrest doesn’t let the small table and lack of chairs prevent them from crowding together to work on crafts. It’s a good thing they like each other – most of the time, anyway!